Similar to the LCK, the 2019 LPL Spring Week 2 was full of sweeps. Among the 12 series, a total of 8 games ended 2:0. With the Taiwanese duo, Maple-SwordArT perfectly adjusting to the LPL, Suning swept WE, and Snake Esports in week 2; they are currently on 1st place for this Spring. Unfortunately, Vici, Victory Five, Team WE, and LGD still haven’t won a series. Also, the 2018 Worlds champions iG finally lost 1:2 against JDG. The 2019 Chinese New Year is just around the corner. The holiday starts on the 5th of February (CST), then right after comes the Chinese Spring Festival Golden Week, which ends on the 10th. The LPL also goes into a long break starting from Jan. 30th and resumes on Feb. 15th. With the teams having at least 16 days to refresh, it’s long enough to expect some changes in the LPL meta as well. 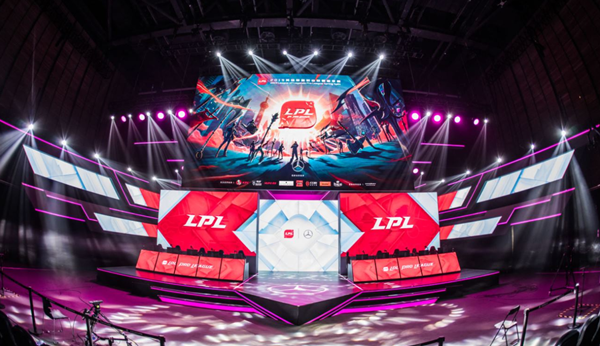 With only 3 days remaining for the LPL Spring break, let’s check out what happened in week 2 of the 2019 LPL Spring. Star player Uzi still out of the rosterSo, when will he return? This is not the first time that the team has temporarily been without their star player Uzi during a split. He has been suffering from a wrist injury for the past few years and had some short time off from competitive gaming in 2017 and 2018. RNG -- as expected-- did not perform at their best when their star player was inactive. However, his rest has always paid off. Right after Uzi came back to the lineup, RNG jumped back up and started to perform well. RNG is currently at 1W - 1L. Although it might be rather early to state that the team is underperforming, RNG already lost 3 sets and is at a 40% set win rate, so the situation doesn’t look too promising. RNG announced that Uzi will be absent for 2 games and will return to the team after the Chinese New Year holiday. This means that he will probably perform as the starting bot laner in Feb. 15th against VG. 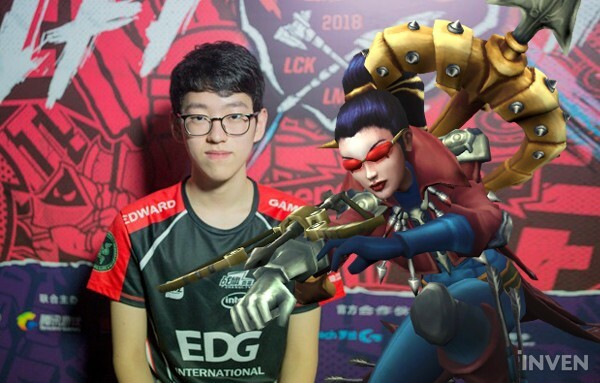 With Uzi taking his now-quite-regularly-scheduled rest, we will have to see whether he can once again lead his team after returning. The South Korean mid laner, Scout, once again carried his team - this time, using mid Vayne. Following her recent buff, Vayne is currently a decent pocket pick against close-ranged bruisers in the top lane. However, it’s still rather unusual to see her in the mid lane. In game 3 against VG, EDG had a shaky start and allowed a gank in bottom lane, but Scout remained strong with Vayne. He was more than 20 CS ahead against Jay’s Galio - this CS edge was probably why he decided to use Vayne. The gap soon widened to approximately 80 CS. He also hit level 14 near the 20-minute mark, the highest among both teams, and soon dominated teamfights and skirmishes. Scout finished 8/1/3. He was responsible for 41% of EDG’s total damage dealt to enemy champions and was named MVP for that game. In week 1, Scout proved that he can single-handedly carry his team on Irelia; this time, he used Vayne and managed to counter the Galio matchup. VG used nearly 13 ban cards on Scout this series and still couldn’t suppress his carry abilities; now opponents have another ban card to consider against Scout: Vayne. Maple and SwordArT were both recognized as one of the best mid laner and support during their LMS days in Flash Wolves. 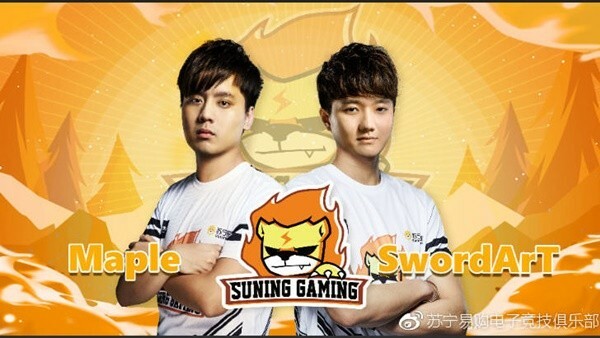 With their former FW teammate Karsa successfully transitioning to the LPL, Suning decided to rebuild by signing Maple-SwordArT during the preseason. It’s still the beginning of the split, but Maple and SwordArT are already an indispensable force for Suning. Maple mainly picked in-meta picks such as Lissandra/Galio and managed to highly impact the game. Being selected as the MVP 3 times already, he is currently in 4th place in the MVP standings. Meanwhile, SwordArT has mostly played Thresh/Tahm Kench/Alistar and managed to successfully support his team’s damage champs. He has been solid in laning, teamfights, and vision control. He displayed a near-perfect performance in the series against RNG; using Tahm Kench and Alistar, he scored a total of 18 assists and didn’t die a single time. On the 21st of February (CST), TheShy made his first appearance for the Spring Split against RW in game 1. Despite his short absence in week 1, he managed to dominate his lane matchup on Urgot. He was nearly 30 CS ahead against Sion near the 10-minute mark. Also, Ning picked Kayn once again and got himself a triple kill early in the game. He ended the game with a 9/3/8 KDA and carried IG to victory. The game ended early, near the 24-minute mark, and seemed like a rather one-sided win for IG. This game was full of the ‘LPL style’ teamfights and skirmishes; with RW using teamfight-oriented picks such as Sion/Sejuani/Ash, they did not hesitate to fight against the 2019 Worlds champions. Although IG pulled through with their stellar mechanics in teamfights, RW still managed to show some strong prowess in multiple fights. This game might have not been the most competitive one, but it was certainly full of fast-paced and creative fights. If you want to get a glimpse of what the current LPL is like, have a look at Invictus Gaming vs Rogue Warriors, game 1. Smlz has been recognized as one of the most mechanically gifted bottom laners in the LPL for the past few years. 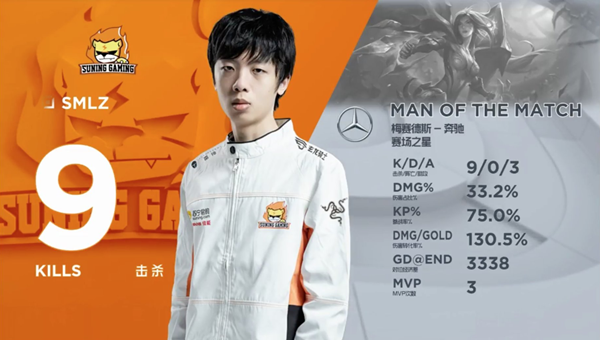 Similar to other high-tier bot laners in the LPL, he is capable of aggressively pressuring the opponent bot duo early in the laning phase. However, his performance was seen as somewhat shaky due to his overly-risky plays in teamfights. 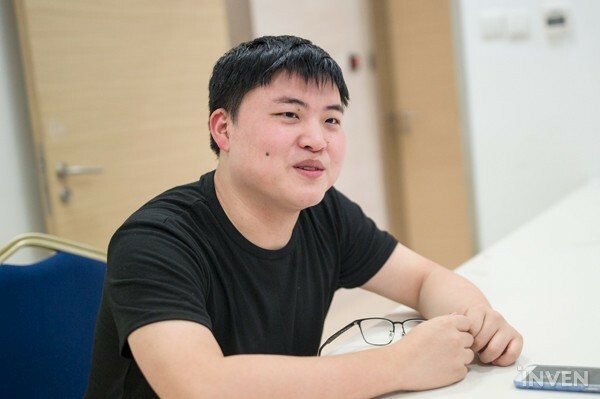 This prominent bot laner moved teams to Suning during this preseason alongside the LMS duo, Maple-SwordArT. Although it’s still the beginning of the split, the newly-formed Suning roster seems to click pretty well. Above all, Smlz seemed to have improved on his teamfight skills. Coordinating with support from his teammates, he calmly waited for the team to initiate, then went in using skills such as Kai’Sa/Sivir’s ultimates. Smlz has always been good at dealing damage, but his rather questionable plays in teamfights were recognized as a weakness. However, in the 2019 LPL Spring week 2, he only died twice. His Kai’Sa plays against both WE and Snake were second to none. He also proved that he can back up his team using Sivir in the second game against WE. Although it might be a bit too early in the split, fans are already excited to see this bottom laner and his team making it to the Worlds stage.